Prior to becoming an attorney, Milene Hernandez worked her way up from the entry level position of File-Clerk, Secretary, Paralegal and ultimately as a Law Clerk for a total of almost twenty years of experience in the legal field. 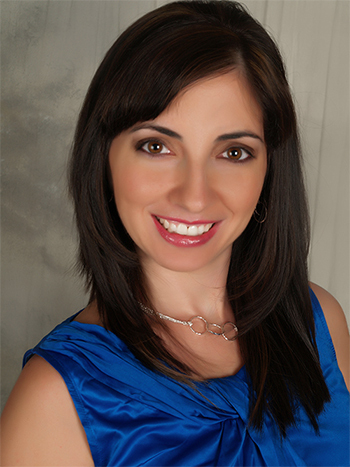 In 2002 Milene obtained a Juris Doctor in Law from the Rutgers Law School in New Jersey. She has a Bachelors Degree in Psychology with a minor in Pre-Law and a Paralegal Certification from the American Bar Association. She is admitted to practice law both in Florida and in New Jersey. Milene began her career as an Attorney in New Jersey where she was employed at a general practice firm, representing clients in Family, Traffic Ticket Defense, Personal Injury cases and Workers’ Compensation cases. When she moved to Florida in 2005, Milene was employed as a Law Clerk at an insurance defense firm, while studying for the Florida Bar. After admission to the Florida Bar, Milene has been employed as an Associate Attorney at three private law firms, in the areas of Family, Workers’ Compensation, Personal Injury, and Immigration. Milene served a one-year term as the Law Clerk for the Honorable Judge Nancy Sivilli in the Family Division of the Superior Court of New Jersey. While in Law School, she served as an Intern for the Honorable Judge Phillip B. Cummis in the Family Division of the Superior Court of New Jersey and at the Urban Legal Clinic at the Rutgers Law School.